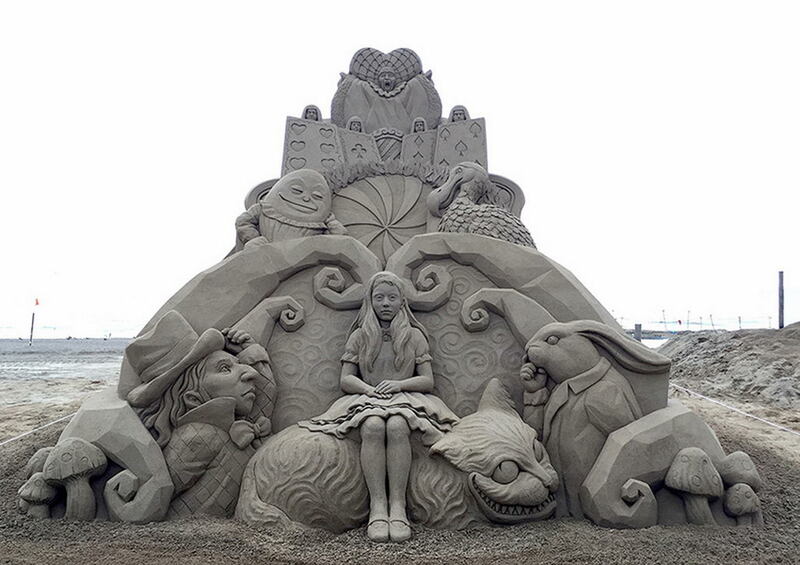 The weather is getting warmer and people are starting to head for the beaches. That means we are heading towards Sand Castle season. 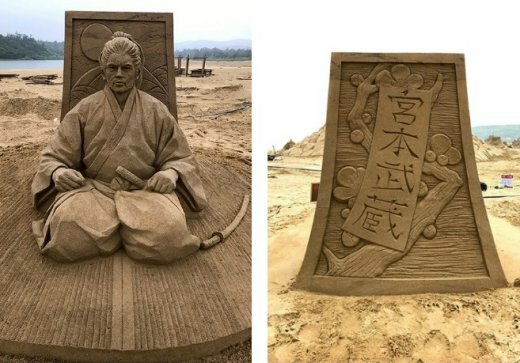 Toshihiko Hosaka’s might not be what you normally created with your bucket and shovel, but they are so stunning, I’m sure even the tides feel bad about washing them away. 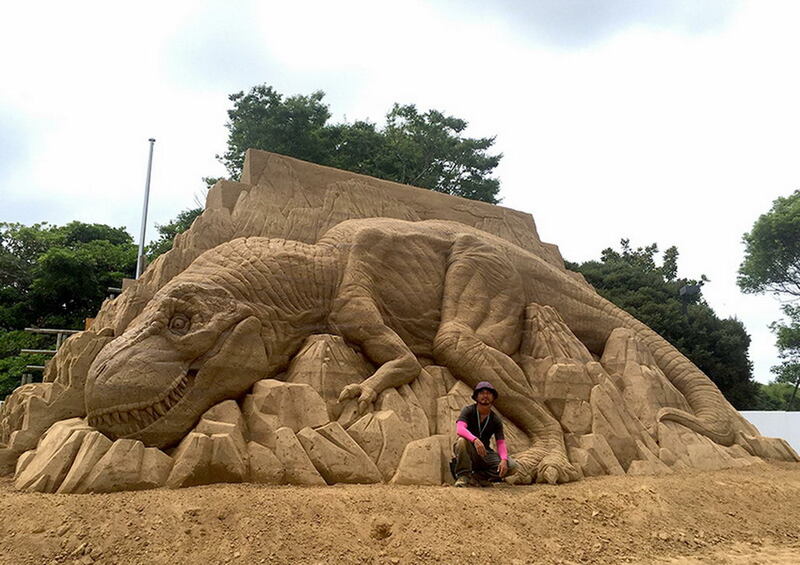 Hosaka has been building these creations since his days in art school, 20 years ago. 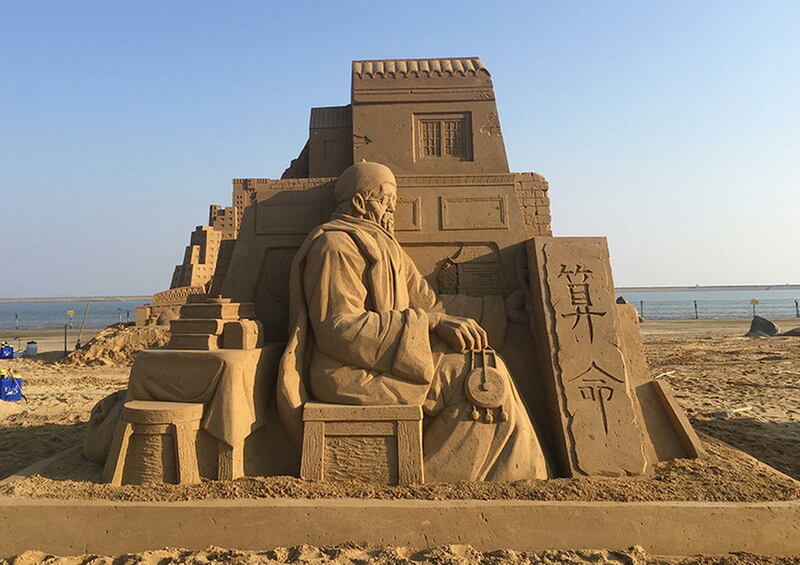 He doesn’t use anything but sand and water. 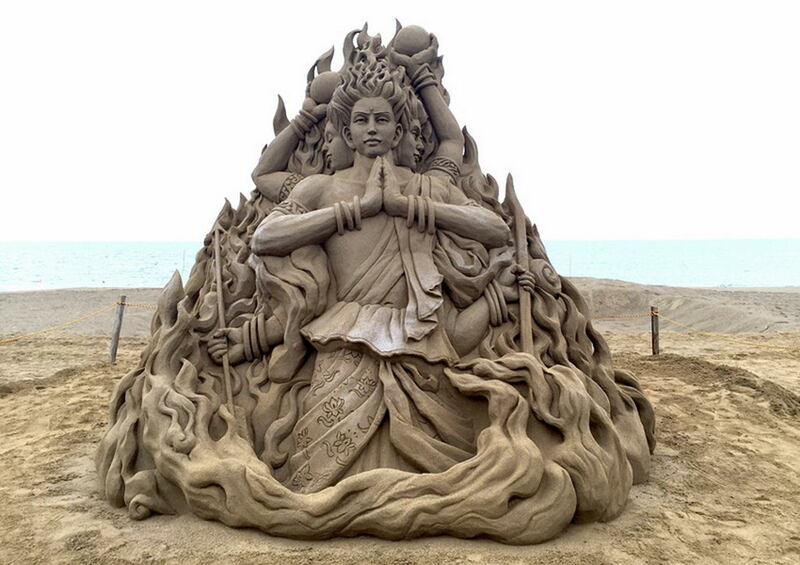 There’s no core of any kind. 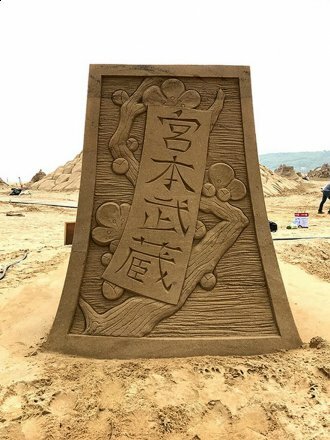 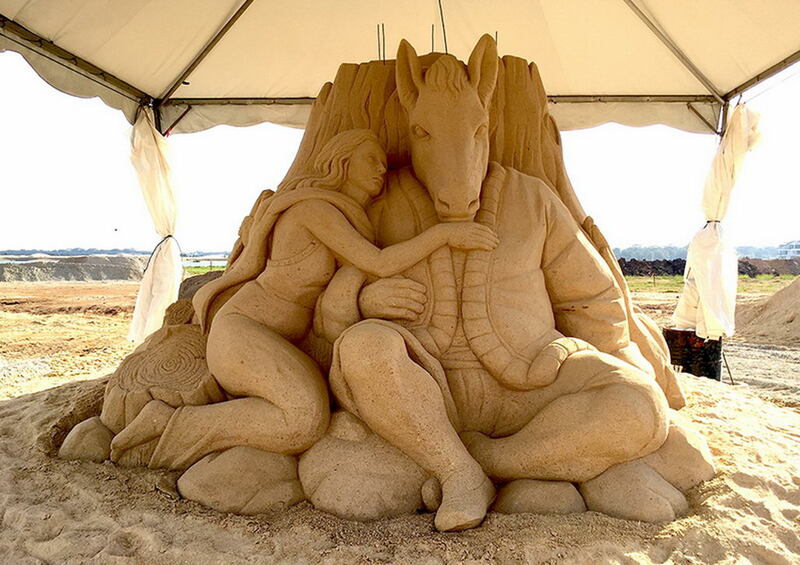 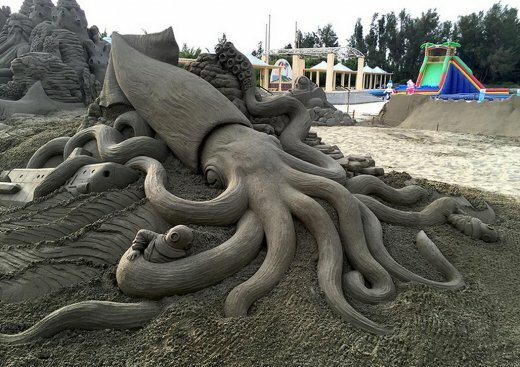 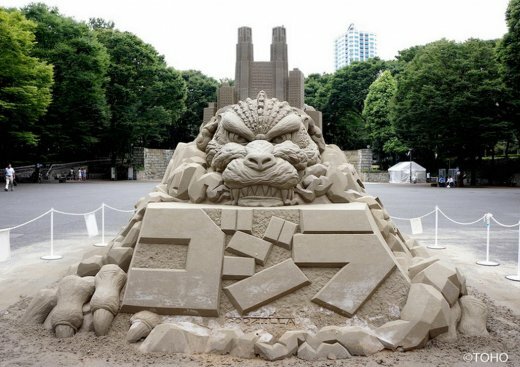 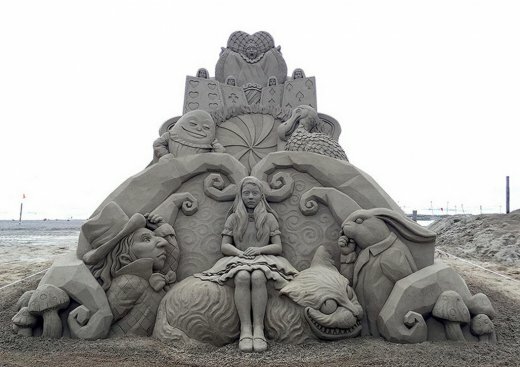 In his latest outing, earlier this month, Hosaka competed in the Fulong International Sand Sculpture Art Festival. 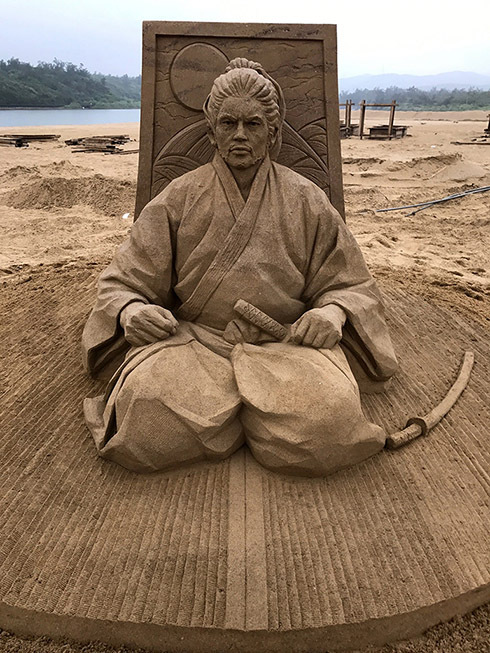 His statue, depicting Musashi Miyamoto, took three days to carve and landed him 1st place. Along with competitions and commission work, he even makes himself available for group lessons where he teaches regular sand castle enthusiasts everything they need to know to make their own epic sand creations.